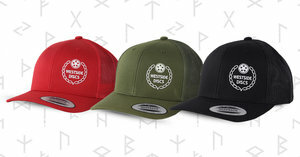 6-panel, medium-profile, classic mesh cap. 8 rows of stitching on curved visor. Matching plastic adjustable strap. Fabric: 47% Cotton, 25% Polyester, 28% Nylon.